Many products we use every day are made from nonwoven fabrics, including home furnishings, disposable medical products, and automotive parts and interiors. Nonwoven fabrics can be treated with moisture repellents as rolled goods. This makes them more durable, stay dry longer, release stains easier, and provide a barrier to harmful fluids. Traditional fabrics are woven or knitted. Nonwoven fabrics are engineered as sheet or web structures bonded together by entangling fiber or filaments by mechanical, thermal or chemical means. These fabrics can be designed for single-use or limited-life. But they can also be durable enough to provide a long service life. Not only can they be engineered to have various strengths, they can be made to mimic textures and appearances of a woven textile. Because nonwoven fabrics are used in so many different types of products and apparel, it’s important for mills and manufacturers to select the moisture repellent that will be most effective. Silicone-based repellents are often used on nonwoven fabrics. Like fluoropolymer-based repellents, silicon-based repellents have low surface energy, which means fluids like water can’t get into the fabric fibers. However, silicone repellents offer little to no oil and solvent repellency, and they have poor stain release qualities and durability. Fluorochemicals have superior repellency against water, oil and solvents because they have a lower surface energy than silicones. Also, the carbon fluorine bond is more stable, which increases the performance and durability of fluoropolymer-based coatings for nonwoven fabrics. 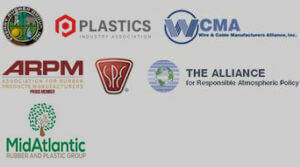 Manufacturers used to prefer silicone coatings because they were more environmentally friendly. However, today’s fluorochemicals use C6 technology and no longer contain PFOAs, so they don’t harm the environment either. Selecting the best fluorochemical grade for nonwoven fabrics can be challenging because each coating formula performs differently with each fabric type. Also, repellency and stain release are competing properties. Fluorochemicals aid stain release by coating the fabric fibers so stains can’t hold on. But this strong water repellency becomes an issue when trying to remove stains that are already set in the fabric fibers, because liquid detergents need to enter the fibers and surround stains to release them. Water/Oil Repellency Test: Measures how well the fabric repels water and oil. Hydrostatic Pressure Test: Measures the force and time required to push a liquid, usually water, through a piece of nonwoven fabric. Surface Resistivity Test: Measures how much static charge can be applied to a fabric by measuring the electrical resistance of the fabric surface between two concentric rings. Static decay test – Measures the time it takes for a charge applied to a fabric to dissipate. Stain release test: Measures ability of fabric to release oily stains during laundering. AGC test labs have the latest testing equipment to mimic the coating application in the mill. We take the time to help mills and manufacturers understand the latest repellent technologies. This collaboration and testing helps select the best grade for each product and application. Would you like to learn more? Check out this presentation for more information about testing fluorochemical-based repellents for nonwoven fabrics. Kristin Carlin is AGC's inside sales & marketing leader and part of the business development group. She has been with AGC Chemicals Americas for 20 years and holds an MBA from Penn State University.